B & O American Brasserie welcomes Michael Ransom as their new executive chef. Ransom, a Michigan native worked in restaurants since his high school days, holding numerous kitchen jobs. From the Italian restaurant where he started to his tournant cook position at a Detroit oyster and seafood house he was forever the student. 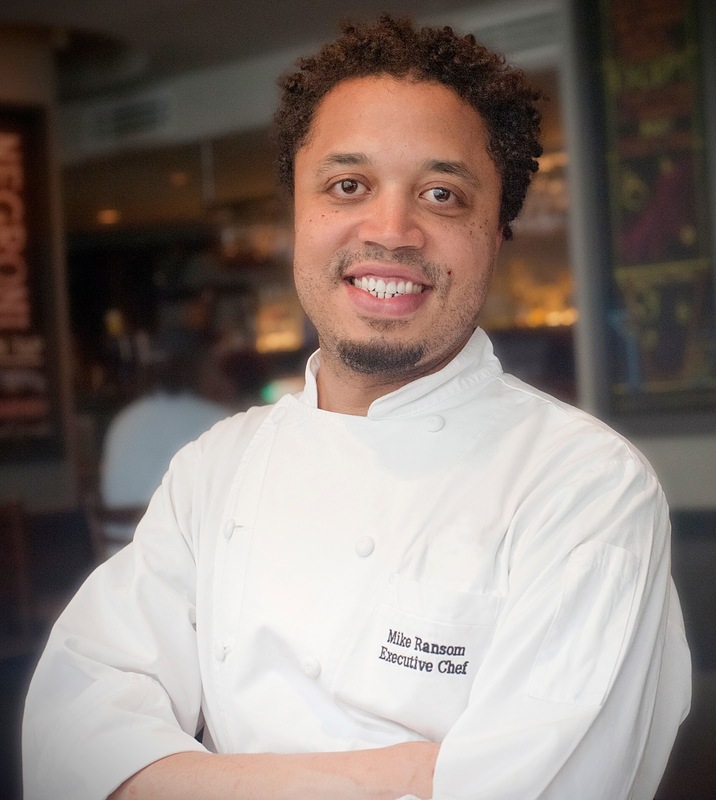 After numerous years in restaurant kitchens the enthusiastic Ransom enrolled in Chicago’s prestigious Kendall Culinary Academy where he got to work at numerous award winning restaurants. A move to San Francisco and the four starred Prospect Restaurant led to becoming executive chef at Bar Adagio and Henry’s in Berkeley. Chef Ransom is a win for B & O American Brasserie who in the past years have sifted through numerous executive chefs some good and some adequate. After being indulged by Chef Ransom at a media dinner and tasting many winning dishes he is easily the best of the chefs who have been before, but then again, that is a personal opinion. Brendan Dorr, who I always talk about with admiration, is one of if not Baltimore’s leading mixologist and working with Chef Ransom putting together a new fall cocktail menu that compliments the fall dishes. My favorite cocktail of Brendan’s is his Queen Bee: Belvedere, Yuzu, St. Elder & Honey Syrup – a winning recipe at the 2008 Cocktail World Cup Regional Finals. The husband stayed traditional with his drink, a bourbon. B & O Brasserie was hopping the night we were there both at the bar and in the dining room. Chef Ransom sent out spiced nuts and warmed olives from their “Snack” offerings. We did not order off the menu but allowed the chef to send dishes he wanted us to taste. From the “Share” section of the menu we tasted Red Eye Riblettes – coffee brined, bourbon bbq with a fall fruit kimchee and the Pastrami Cured Salmon with beet pickle, cured orange, dill raita and rye crisp. 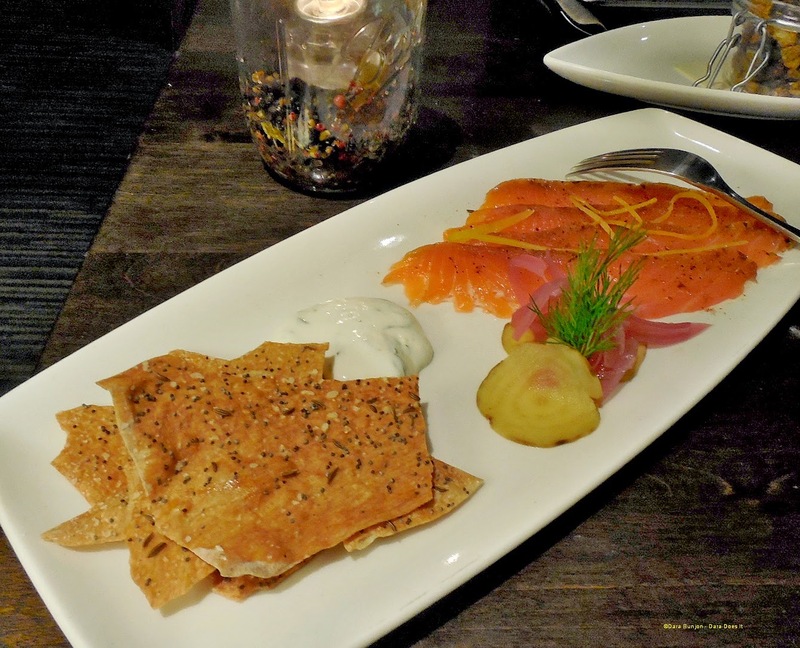 If you like gravlax and cured salmon, order the Pastrami Cured Salmon but don’t plan on sharing it…it was so, so good – you will want it all to yourself. Let me not forget the Sweet Potato Gnocchi with Brussel petals, sage-brown butter and pumpkin seeds. Check out the slideshow and the full story HERE.